Drinking more water helps your health in more ways than one: it replenishes fluids in muscles and tissues throughout the day and post-workout; it satisfies your thirst, which can sometimes be mistaken for hunger and cause you to inadvertently eat more than you need; it alleviates signs of dehydration like fatigue, brain fog, and headaches. I'm lucky to live in a municipality with great-tasting, safe drinking water straight from the tap, and there's filtered water at the office and the barre studio. But if that's not the case where you live, getting your required eight glasses a day becomes more challenging. The solution? 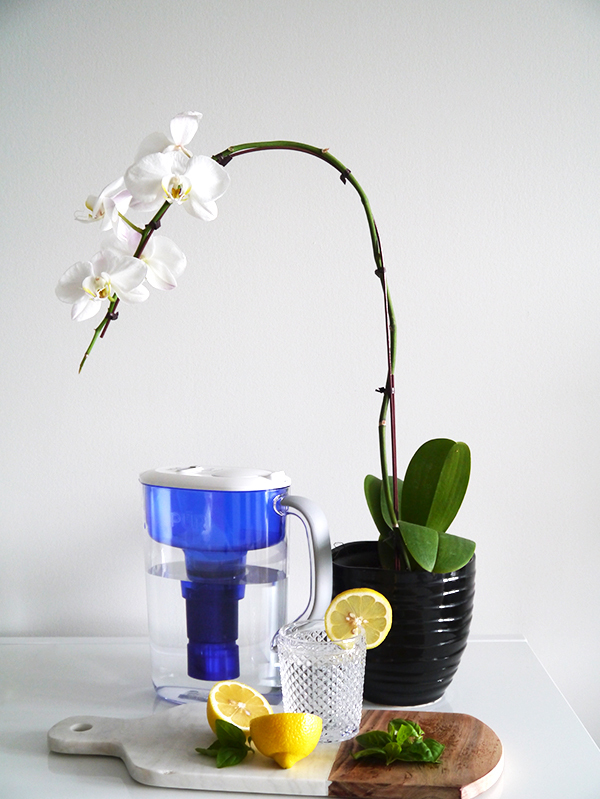 Perhaps something like the Pur Water Filter Pitcher ($29.99 at London Drugs). The Pur Water filtering system is certified to remove 99% of lead and reduce copper, mercury, pesticides, microbes, and chlorine. The pitcher I received for review came with one filter, which is supposed to last up to 2 months or 113 litres of water; a light indicator on the white lid tells you when the filter needs replacing. 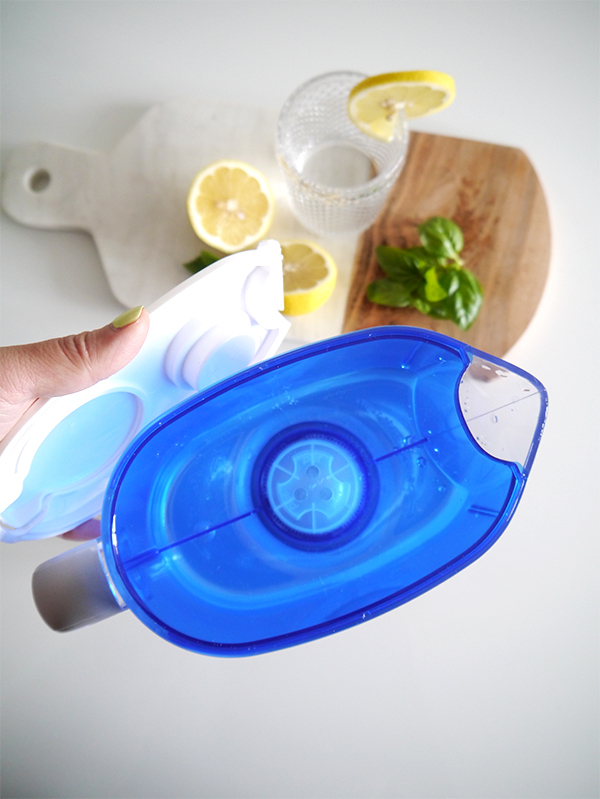 This particular model holds 7 cups when full and is designed to be slim enough to fit in the fridge door with a comfort grip handle. I've been testing the Pur Water Filter Pitcher for several weeks now, and honestly, my feelings about it are pretty mixed. Let's get to the likes and dislikes, shall we? The instructions for how to prep and install the water filter were clear and relatively easy to follow. When I first ripped the airtight gold foil packaging off the filter, white powder came spilling out of the top and surprised me—this is not a filter you can screw into the pitcher and use right away. Instead, you have to soak it in a bowl of cold water for some time, then hold it under running water for 10 seconds. After that, you screw the filter into the base of the blue chamber in the pitcher and you're good to go. The handle is nice and wide and easy to grip, and it's lined with grey rubber on one side so it doesn't slip. I like the flip top on the lid; it makes the pitcher easy to refill without having to remove the entire lid. Pur is partnered with TerraCycle, and where facilities are available, the pitcher and filters are recyclable. 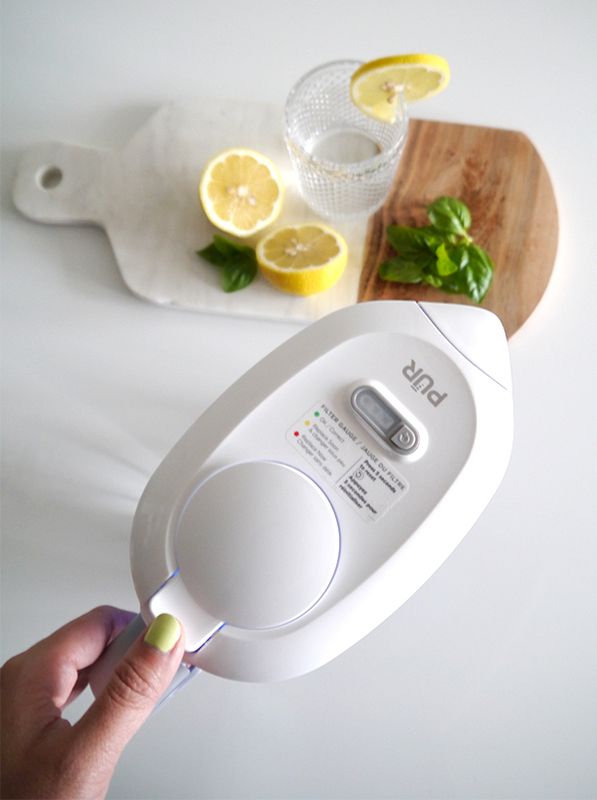 One of the major selling points—the light indicator on the lid—doesn't work on my review sample at all. 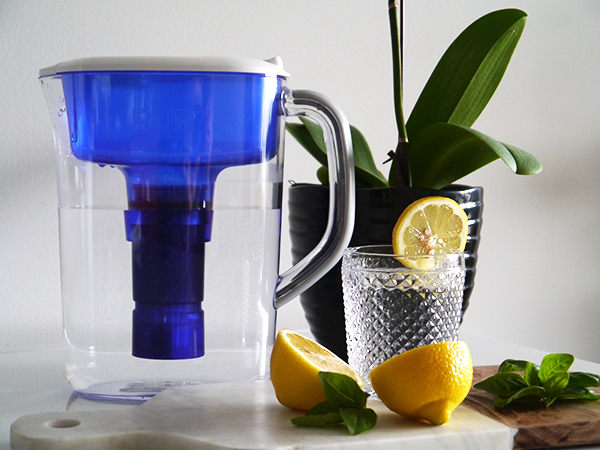 The water filter is slow and the blue chamber only holds a fraction of what the pitcher can hold. The first time I filled up the pitcher completely, it took at least an hour—I checked the blue chamber constantly to see if it was empty and I could fill it up more, while the water slowly, slowly trickled out the bottom. If you're paranoid about running out of water like I am, this means you're constantly refilling as you run out of a quarter of water instead of when it's completely empty, so you're diluting the "old" water instead of filling it up from scratch with fresh water. I have been advised the water filter speeds up over time though. The water filter is also somewhat expensive. At $16.99 for a new water filter at least six times a year, the costs quickly add up even if the initial pitcher purchase was reasonable. Although it can technically fit in my fridge door as promised, I've got other bottles and stuff in both fridge doors that I can't move elsewhere, and the pitcher is just a little bit too tall to fit on a normal shelf. So instead of stashing it in the fridge, I've just been letting it sit on the kitchen counter. The water from the Pur Water Filter Pitcher does taste better, but is it so much better than what comes out of my tap that I would notice and justify buying a pitcher and expensive filters to obtain it? Meh, not really. But again, I'm spoiled in that the tap water in Vancouver is safe and tastes pretty good already. 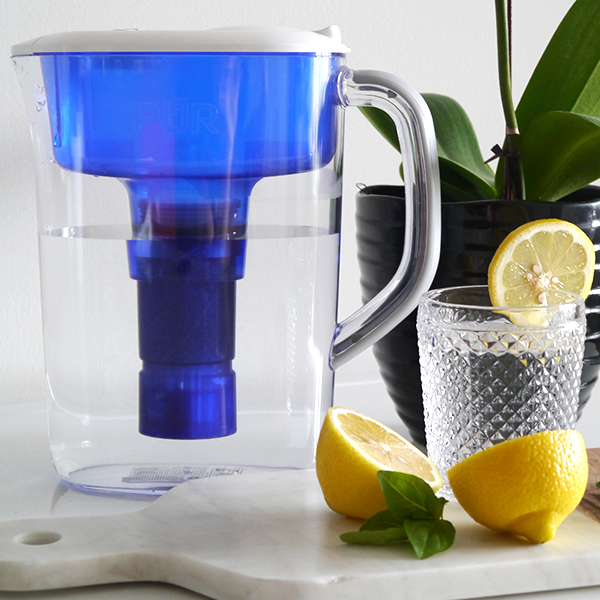 If you live in a place with dodgy tap water, the Pur Water Filter Pitcher could be an affordable solution for enjoying safer, better-tasting drinking water. However, a lot of its design elements just didn't work for me. I don't think it's a good fit for my lifestyle and I probably won't purchase a replacement filter for it after the current one expires.